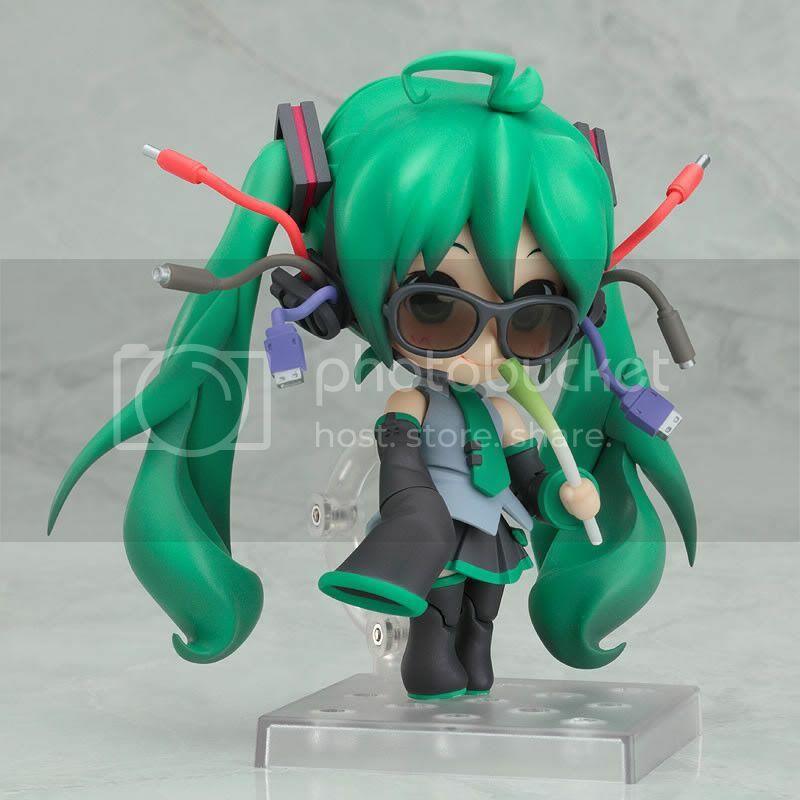 Good Smile Company is going to release the Nendoroid Miku Hatsune Absolute HMO Edition action figure from the cover illustration of the Hatsune Miku Orchestra audio CD. 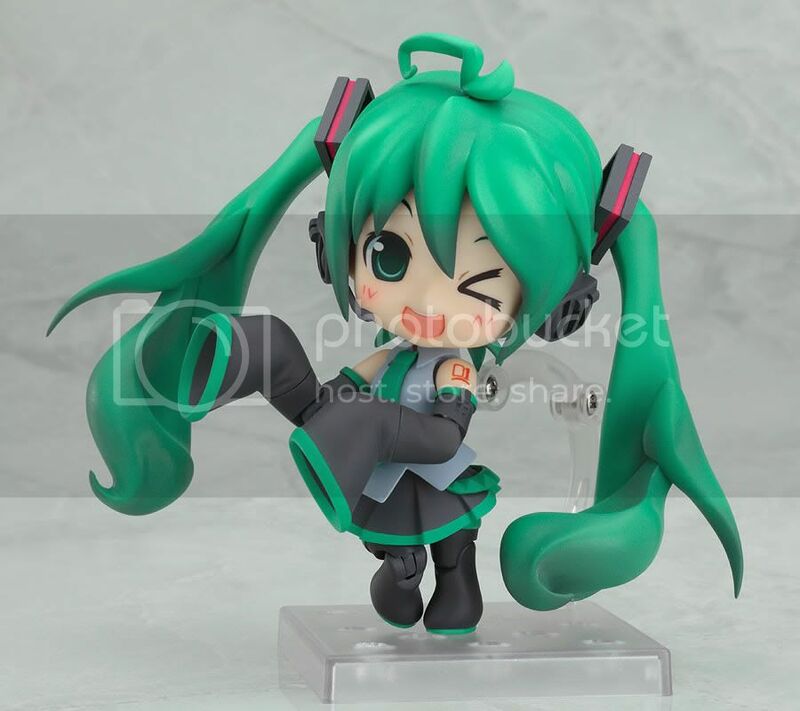 This figure is approximately 100mm in height and will be released in December 2010 around 4,000 yen. 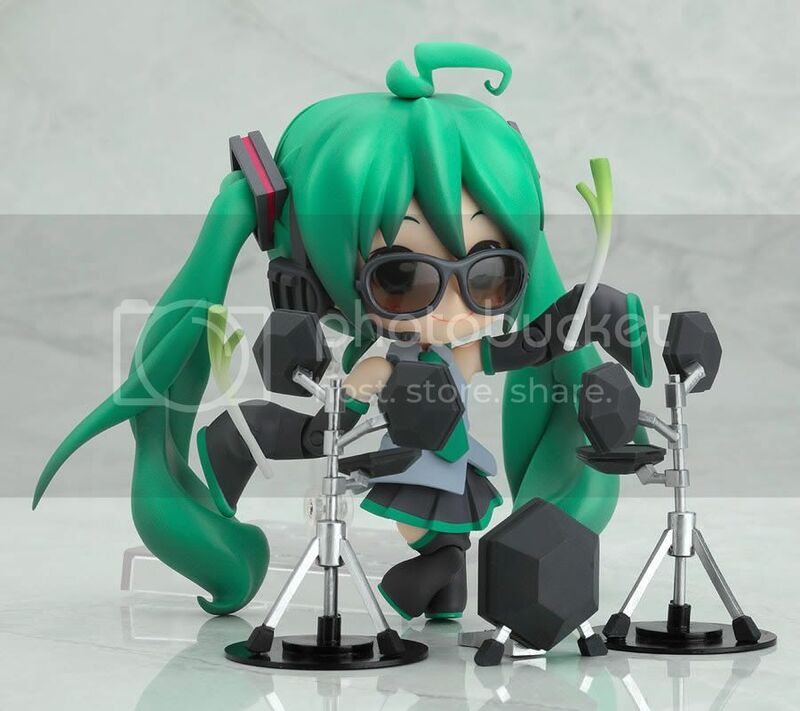 I think this is the best thing from what a Nendoroid figure can offer. 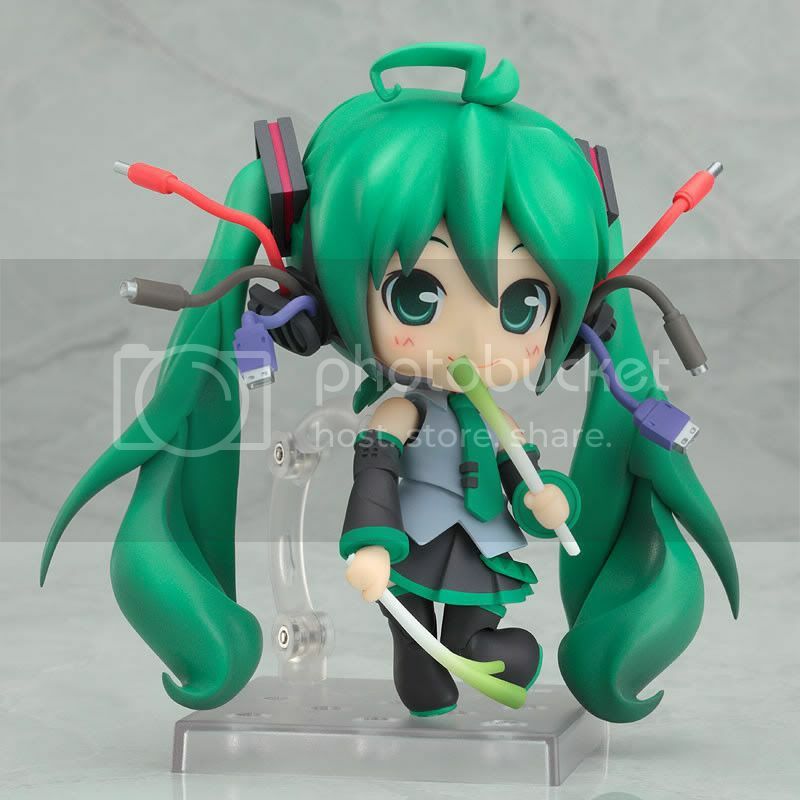 Amazingly plenty of accesories, super possable figure, high quality detail, pretty cool base, and those all packaged and still comes in an affordable price. 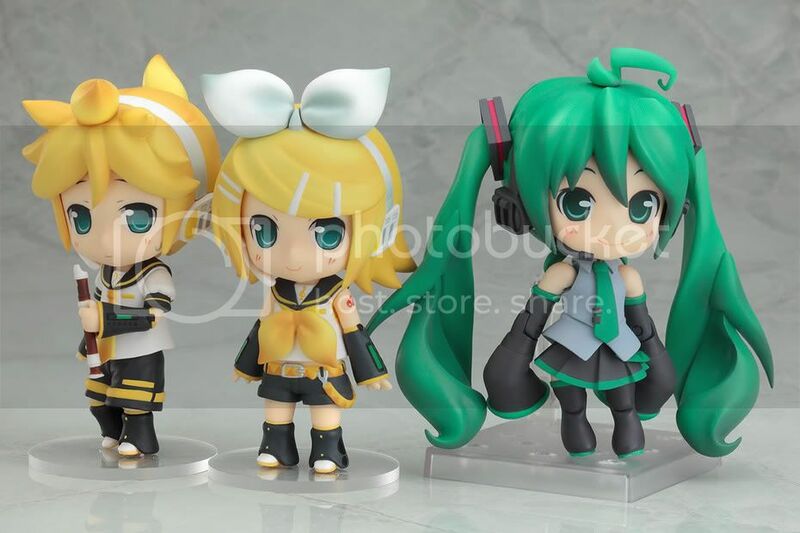 This Nendoroid also comes with the facial stickers (not the actual face parts) for Nendoroid Rin and Len. 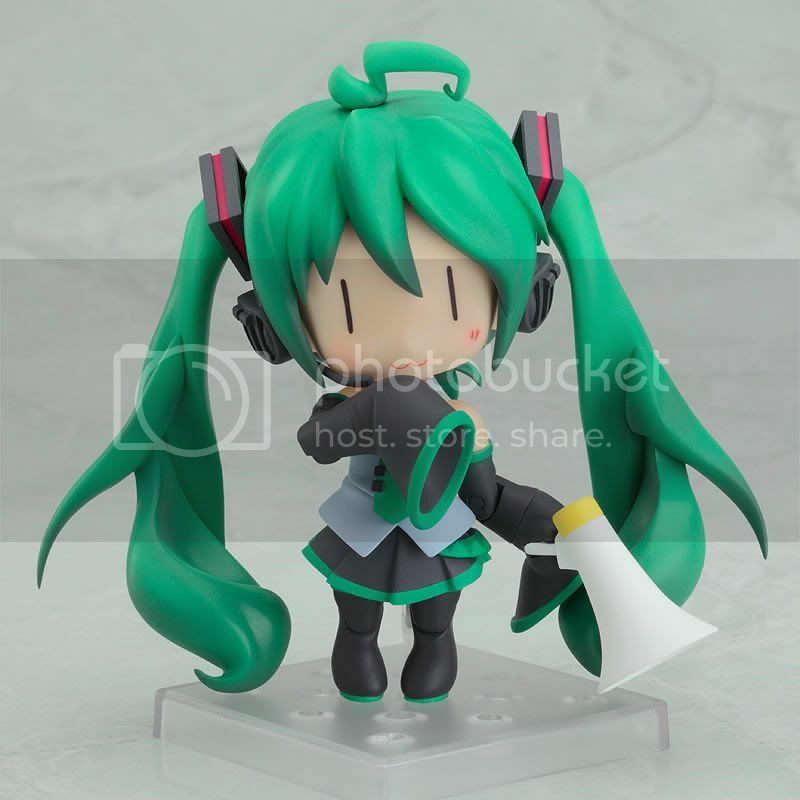 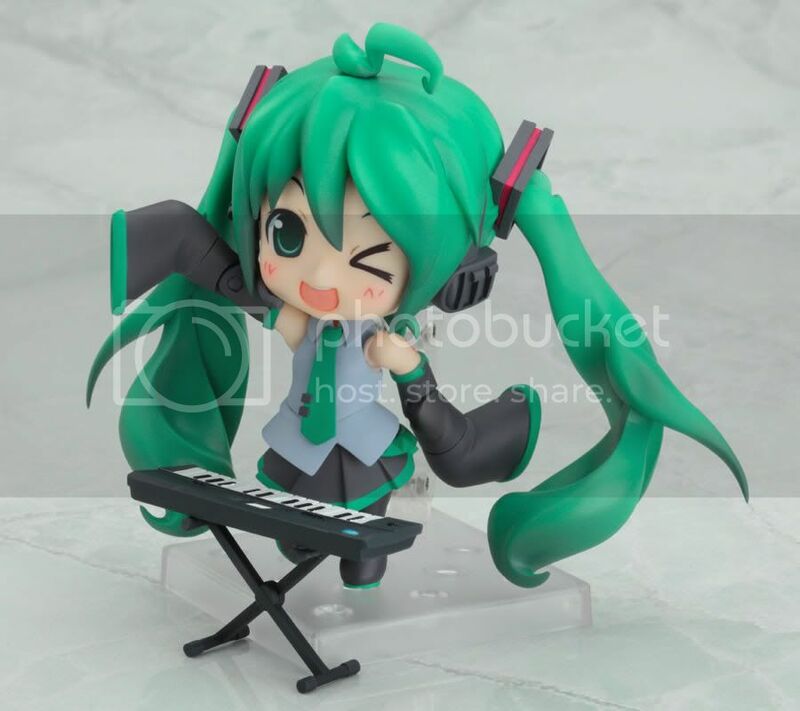 The Hatsune Miku Orchestra audio CD will not come along with this Nendoroid.